Winning at the tournaments organized by the MSSA is indeed commendable. We are delighted to share the outstanding performance of our young Squash prodigy Mst. 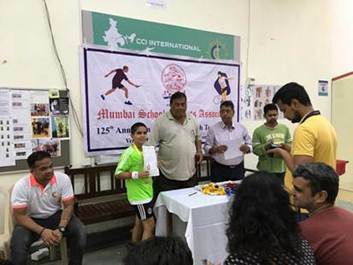 Anshuman Jaisingh of Std.VA who had represented Arya Vidya Mandir Bandra West at the MSSA Inter-School Squash Tournament in the Boys Under 11 category. The event was held from 21st to 23rd January, 2019 at CCI (Cricket Club of India). He won the event for the second consecutive year in a row in the same category. Congratulations to Anshuman for his marvellous pergormance.